The most important component of soil is humus. Humus, often described as the “life-force” of soil, increases soil water absorption and improves soil workability. 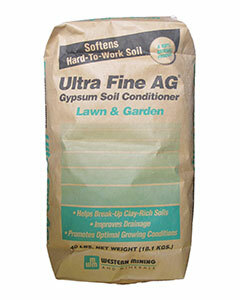 Alaskan Humus can be used as a seed germinator, soil amendment, mulch or a top dressing for lawns and gardens. Due to Alaska’s long winters, short intense summers, in combination with volcanic ash and glacial rock dust, makes this product one of nature’s finest. This microbe rich humus is completely natural and contains no pesticides, chemicals or E. Coli. 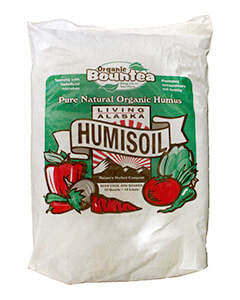 Alaskan Humus is commonly used as a premium starter for all compost teas. Available in 2 yard totes and 16 quarts bags. (2-0.52-1) Alfalfa Meal provides nutrition for both the plant and the soil. It is full of vitamins, minerals, sugars, starches, proteins, fiber and amino acids. Available in 50lb bags. Azimite Powder is a mined product that helps re-mineralize soil and contains a broad spectrum of over 70 minerals and trace elements. This product is OMRI listed. Available in 44 lb bags. Azos Nitrogen Fixing Microbes work with mycorrhizae to increase the plant’s root structure increasing a plant’s ability to uptake nutrients making for more vigorous growth and increased flower production. Available in 2 oz, 6 oz, and 12 oz sizes. Archipelago (0-7-0) This phosphorous based bat guano is used during the flowering stage of plant development and increases fruit and flower production while creating a more flavorful and aromatic fruit. This product is OMRI listed. Available in 25 lb buckets, 55 lb bags and 2200 lb totes. 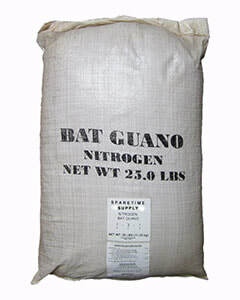 (7-3-1) Sparetime Supply Nitrogen Bat Guano (7-3-1) is an organic high nitrogen additive typically used during the vegetative growth stage. 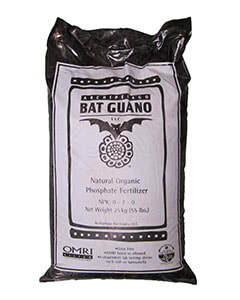 This guano is water soluble and is a great additive for compost teas. Available in 5 lb, 10 lb, 25 lb sizes. We also offer 1000 lb totes. 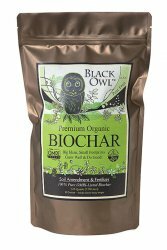 Biochar is a carbon-based soil amendment derived from a bio-fuel manufacturing process. This amendment is intended to retain nutrients and create a hospitable environment for the soil web in order to encourage microbial diversity and abundance. 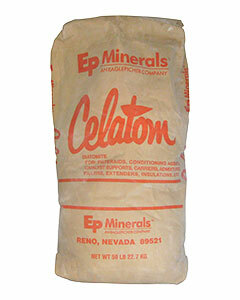 Available in 1 quart bags, 1 cubic foot bags and 1.5 yard totes. Mycorrhizae is a beneficial fungus. It creates a symbiotic relationship with the roots of the plant by hooking into it and delivering vital plant nutrients. The plant feeds the mycorrhizae sugar exudates as a reward for its nutrient supply. It is especially good at breaking down phosphorous into an available form . It must come in contact with the root zone within 48 hours to be fully utilized by the plant. Great for transplantin or planting from seed. Mycorrhizae reduces greenhouse gases as 1/3 of the CO2 taken in by the plant/tree goes straight to the mycorrhizae to create glomalin, the organic glue of the soil that prevents soil erosion, as well as other functions! 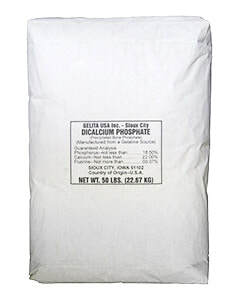 Available in 8 oz, 1.5 lb, 5 lb, 25 lb bags and 1000 lb totes. 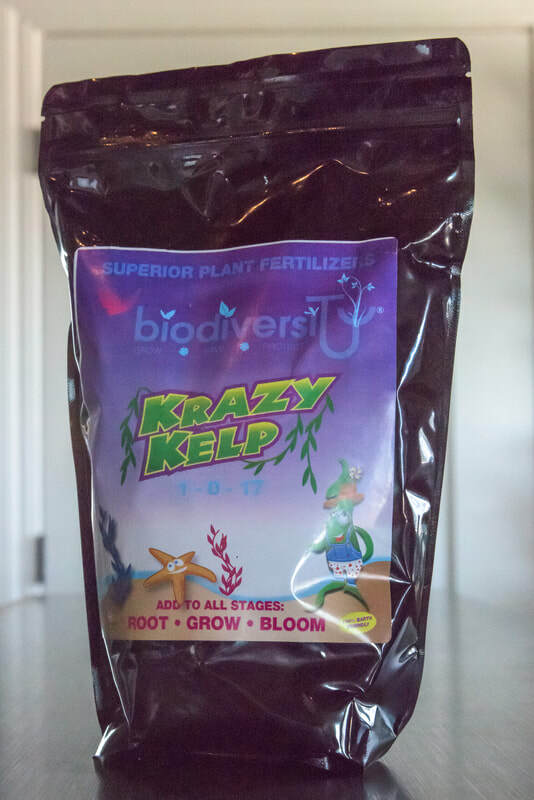 (1-0-17) Krazy Kelp is a natural water soluble fertilizer and critical soil amendment. It is a significant source of potassium, trace minerals and is derived from Ascophyllum Nodosum. Available in 8 oz, 1.5 lb, 4 lb, 25 lb and BULK sizes. 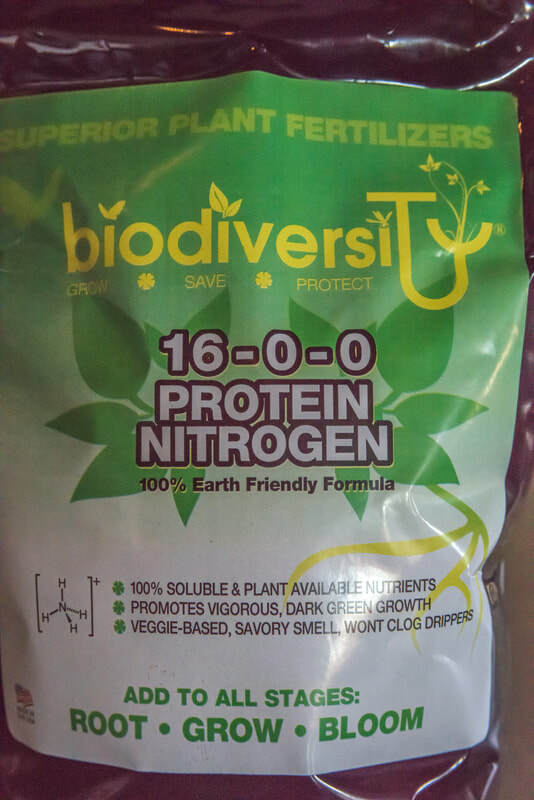 (1-0-17) Protein Nitrogen is a one-of-a-kind nitrogen fertilizer derived from vegetable proteins. It is ground up, hydrolyzed through a cold extraction process and dried to a micronized perfection. 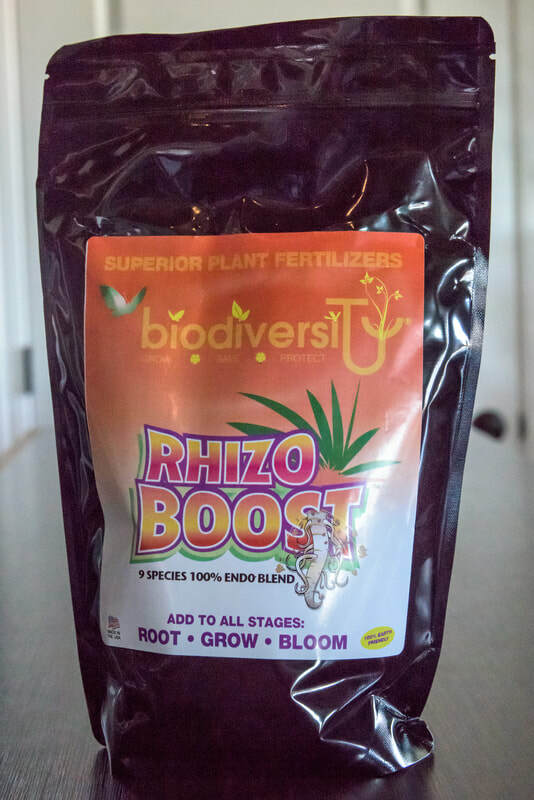 It is an immediately available nitrogen source to boost your plants when they need it most. Available in 8 oz, 1.5 lb, 4 lb, 25 lb and 50 lb sizes. Blood Meal (13-0-0) is a fast-acting nitrogen supplement used for the early growing phase. (1-12-0) Steamed Bone Meal is an excellent source of slow-release phosphorous, calcium and some trace minerals. Bone meal is intended to be stirred into the soil or top dressed. Available in 50 lb bags. (0-18.5-0) Precipitated Bone Meal, also known as Dicalcium Phosphate, is a very fine powder intended for use on plants requiring a fast-acting, readily-avaliable source of phosphorous. Available in 50 lb bags. Xtreme Gardening Cal Carb is a foliar spray that provides a soluble form of calcium for plants. When calcium is supplemented, it helps strengthen cell walls making for stronger structure and drought resistance. Available in 3 oz and 6 oz sizes. (0-3-0) Calphos Soft Phosphate is a phosphorous and calcium soil amendment used primarily for flowering and increasing overall plant health. This product will release P and CA immediately, but will also provide a long lasting release of up to 5 years. Calphos is intended to be stirred into soil and stays available until the plants use it. Available in 50 lb bags. Fresh sources of fresh minerals, that are essential to the life vitality of your plants and key to supporting healthier soils. Volcanic basalt that releasses essential trace minerals, such as calcium, iron, magnanese and water soluble magnesium. Available in 1 lb and 44 lb bags. 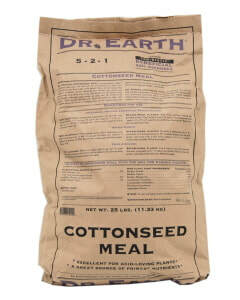 (5-2-1) Dr. Earth Cottonseed Meal is an all-around source of primary nutrients and is especially effective with acid-loving plants such as azaleas, camellias and rhododendrons. Cottonseed Meal Infused with seven strains of beneficial soil microbes. Available in 25 lb bags. 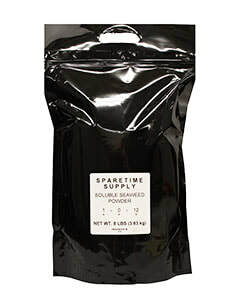 (6-3-0) Sparetime Supply Crab Meal is a naturally derived soil additive and fertilizer that contains an easily absorbed source of nitrogen for plants. Crab meal is also effective in helping prevent pest build up when applied with regular fertilization methods. Diatomaceous Earth is a naturally-occurring siliceous sedimentary mineral derived from fossilized microscopic algae called diatoms. Diatomaceous earth can be used as a natural insecticide that leaves no residual oils or chemicals. This specific type is agricultural grade and is not intended for human or animal consumption. Available in 50 lb bags. Dolomite #65 Ag Lime contains calcium and magnesium, acting as a slow-release amendment, it also helps raise soil pH. Available in 50 lb bags. 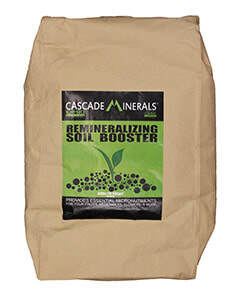 (5-4-2) A rich, organic fertilizer mix infused with a generous amount of benficial bacteria and mycorrhizal fungi to stimulate rooting, vigor and optimum plant development. 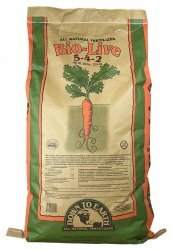 Bio-Live encourages rapid colonization of soil and soil less mixes and may be combined with other DTE fertilizers to further improve plant growth and yields. Derived from: Fish Bone Meal, Fish Meal, Alfalfa Meal, Crab Meal, Shrimp Meal, Langbeinite, Humates, Kelp Meal, Mycorrhizal Fungi and Beneficial Bacteria. OMRI Listed. Available in 50 lb bags. (12-0-0) A readily available source of organic nitrogen, Blood Meal promotes rapid vegetative growth and is great for heavy feeders like corn, spinach, broccoli and leafy greens. Nitrogen is essential for all types of growing plants and an adequate seasonal supply ensures plenty of shoots, flowers, fruits and vegetables. OMRI Listed. Available in 50 lb bags. (3-15-0) A source of available phosphorous and 18% calcium. Bone Meal promotes rooting, fruiting and flowering. 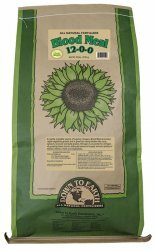 An excellent fertilizer for starting tomatoes, peppers, bulbs, and flowers. OMRI labeled for organic gardening. Available in 1 lb and 50 lb sizes. (4-3-0) An excellent fertilizer with 14% Calcium. Its course texture improves aeration, drainage, and overall soil tilth. OMRI labeled for organic gardening. Available in 1 lb, 25 lb, and 40 lb sizes. 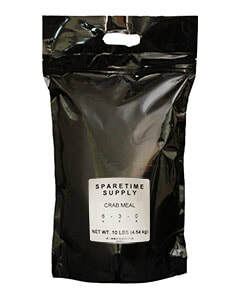 (6-3-0) Sparetime Supply Crab Meal (6-3-0) is a naturally derived soil additive and fertilizer that contains an easily absorbed source of nitrogen for plants. 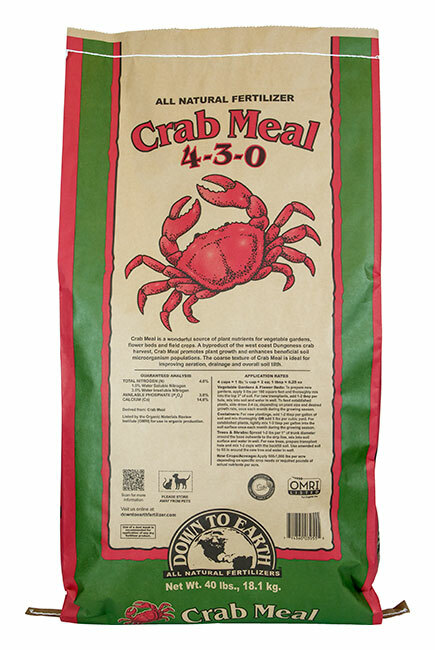 Crab meal is also effective in helping prevent pest build up when applied with regular fertilization methods. Available in 50 lb bags. (weight of bags vary throughout the season). (0-0-3) Naturally occurring in marine sedimentary deposits, Greensand is composed primarily of the blue-green siliceous mineral Glauconite. Greensand has been recommended as a soil amendment since the early 1700’s due to its unique physical properties. Traditionally used to loosen heavy clay soil, Greensand is able to absorb up to one-third its weight in water to improve the moisture holding capacity of garden soils and potting mixes. 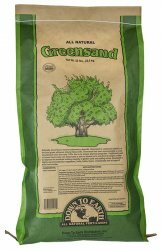 Greensand is highly recommended for vegetables, fruits, herbs, lawns, ornamentals and all types of trees and shrubs. OMRI Listed. Available in 50 lb bags. Oyster Shell flour is an all natural source of high quality calcium that is ground into varying particle sizes to ensure an immediate and sustained release of this valuable nutrient. Calcium promotes strong root development, improves nutrient uptake and boosts plant immunity. Oyster Shell builds optimum tilth by improving the texture, aeration and water penetration of soils. OMRI Listed. Available in 50 lb bags. 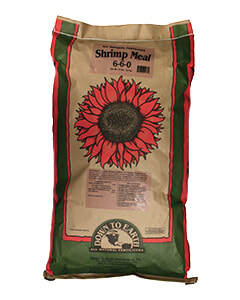 (6-6-0) An excellent all-purpose organic fertilizer derived from ground Pacific Northwest shrimp shells. Rich in nitrogen, phosphorus and calcium, Shrimp Meal is wonderful for all types of garden vegetables, flowers, herbs and ornamentals and also acts as an exceptional compost bio-activator. Shrimp Meal is rich in chitin, a natural polysaccharide that can help plants develop healthy immune responses and stimulates the growth of beneficial soil microorganisms. Available in 15 lb bags. 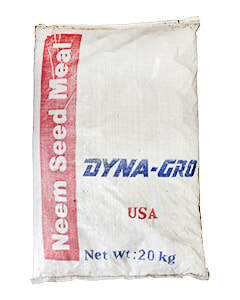 Dyna-Gro Neem Seed Meal is the by-product of cold-pressed neem seed and is a slow-release fertilizer containing calcium and magnesium and also functions as a fungicide and insecticide. Available in 44 lb bags. This product will raise pH levels with adjusting crystals. 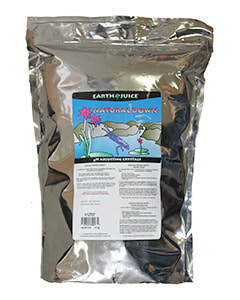 Earth Juice Natural UP can be used to adjust fertilizer and foliar spray solution for a much more effective use and faster absorption of nutrients by plants. Optimal pH range for fertilizer / nutrient solution for most plants is 5.5 - 6.5. Available in 10 lb bags. Lower pH with these all natural pH adjusting crystals. Natural down will bring pH levels to optimal range of 5.5 - 6.5. This product is especially effective where hard water is present. Available in 7.8 lb bags. 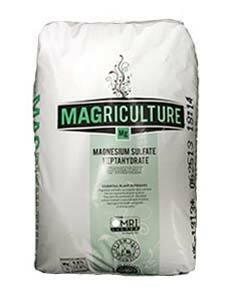 Epsom salt or magnesium sulfate allows plants to uptake valuable nutrients such as nitrogen and phosphorous. It also aids in the creation of chlorophyll which is vital for photosynthesis. Epsom salt greatly improves a plants ability to produce flowers and fruit. (12-0-0) Feather Meal is a slow-release, (6-9 months) nitrogen amendment and is designed to be mixed into soil or used as a top dress. Derived from hydrolyzed, ground feathers and are high in protein. Available in 50 lb bags. 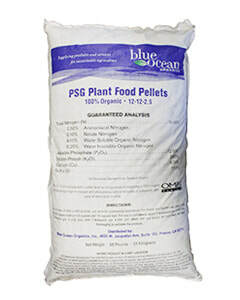 (10-4-0) Fish Meal is a slow release, (6 months) source of nitrogen for early growth and a mild source of phosphorous that helps with root development. It also contains trace minerals. Available in 50 lb bags. 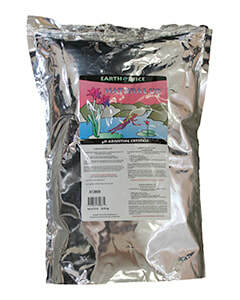 (3-18-0) Dr. Earth Fish Bone Meal is a natural nitrogen, phosphorous and calcium fertilizer intended to promote soil microbes and root production. This has Dr. Earth's patented Pro-Biotic additive that adds beneficial soil microbes and mycorrhizae. Available in 25 lb bags. Gaia Green Glacial Rock Dust is a soil additive intended to provide a natural source of trace minerals and micronutrients in order to promote a healthy life cycle. Available in 50 lb bags. (0-3-0) Jersey Greensand is an iron-potassium silicate. It loosens clay and increases moisture by up to ten times. This product is a good source of potassium and also contains over 30 trace minerals. Available in 50 lb bags. Gypsum penetrates the clay particles in heavy soils, helps loosen the soil structure and adds readily available calcium and sulfur for overall plant health. Gypsum will also correct the effects of high sodium in soils and will help increase or lower PH. Available in 50 lb bags. Anasazi Gold 1/4" Humates is a natural soil additive derived from ancient lake deposits. This is intended to improve micronutrient availability within the root zone. 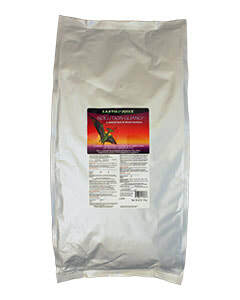 (2-2-2) Organic Nutrients Insect Frass is a 100% organic all-purpose fertilizer. This product is derived from herbivore insect waste and exoskeletons, supplying plants with a balance of beneficial micro-organisms and a source of immediately plant-available chitin. Also helps protect plants from insects and increases the immune system of plants. Available in 10 lb bags. (1-0.15-2) Canadian Kelp Meal is a pure extract of ascophyllum nodosum and provides trace minerals as well as small amounts of nitrogen, phosphorus and potassium. This product is OMRI listed. Available in 50 lb bags. 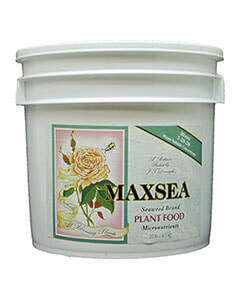 (16-16-16) Maxsea All Purpose Plant Food is designed for year-round use on all plants. It promotes vigorous sturdy plants with distinct, dark, green foliage, quality blossoms and abundant fruit and vegetables. This product is water soluble. Available in 6 lb,20 lb and 50 lb sizes. (3-20-20) Maxsea Bloom Plant Food is specially formulated to improve flowering, bud set, bud count, blossom quality, quantity and size on all flowering plants, as well as promoting abundant fruit and vegetable yields. This product is water soluble. Available in 6 lb,20 lb and 50 lb sizes. RTI Xtreme Gardening Mykos is a beneficial fungi which increases the availability of nutrients and moisture to the plants, ensuring faster growth and higher yield. Available in 1 lb, 2.2 lb, 20 lb and 50 lb sizes. RTI Xtreme Gardening Mykos Wettable Powder is a soluble beneficial fungi which increases the availability of nutrients and moisture to the plants, ensuring faster growth and higher yield. Available in 12 oz, 2.2lb and 15 lb sizes. 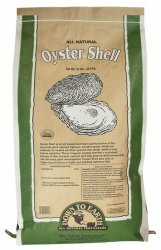 Pacific Pearl Oyster Shell Flour provides a long-lasting, steady release of nutrients that regulate pH levels, improves fertilizer uptake and enhances soil tilth. Available in 50 lb bags. (12-12-2.5) Blue Ocean seabird guano is produced in pellet form for the purpose of supplying a 100% organic fertilizer product which is a fast acting source high in nitrogen and phosphorus, with a moderate of potassium, with ease of application in mind. Available in 55 lb bags. 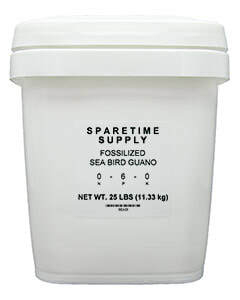 (0-6-0) Sparetime Supply Fossilized Seabird Guano is an excellent source of phosphorous. This guano helps increase fruit and flower production while improving aroma and taste. Available in 25 lb buckets. (0-8-0) Fast acting high phosphorus, fossilized seabird guano that has been micronized to 1000 screen so that it is suitable for sprayers and other applications requiring a fine particle size. May be used as a liquid or dry fertilizer. Available in 20 lb size. (1-0-12) Soluble Seaweed Powder promotes early growth and helps create lush foliage. Introducing kelp to a fertilizer program helps improve overall plant health and vigor. Available in 8 lb size. 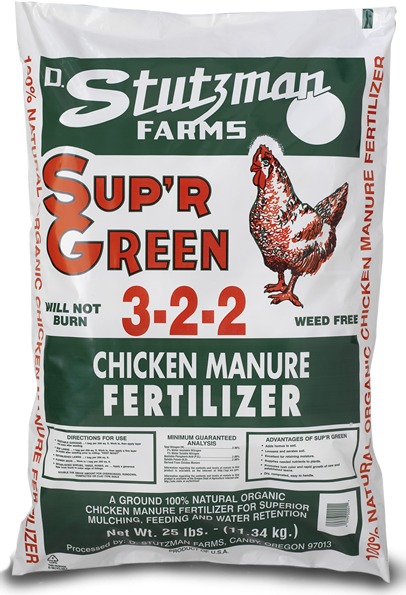 (3-2-2) Stutzman Farms Chicken Manure is a ground, 100% natural, organic chicken manure that can be used as a fertilizer or as a mulch. Available in 25 lb bags. 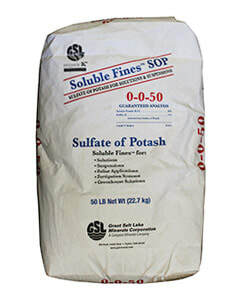 (0-0-50) Sulfate of Potash (0-0-50) provides a great source of potassium as well as sulfur, which improves overall health and production of plants. This product is OMRI listed. Available in 50 lb bags.